LCE was appointed to do the structural design for an office block, vehicle scanner building, warehouse and auxiliary buildings in Keetmanshoop for the Department of Customs and Excise, including performing the site survey and designing the earthworks and all civil components, including storm water, roads, parking and sewage. The warehouse was relocated to a more suitable site and some aspects thereof redesigned. Construction of the works, valued at N$ 20.5 million, is complete. 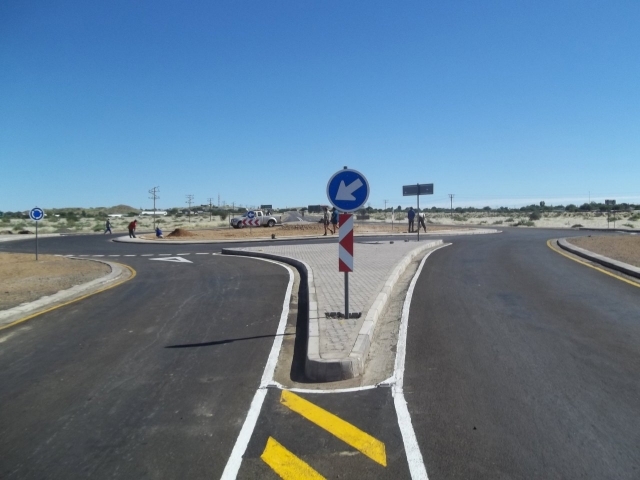 LCE was also requested to design the road entrance and interchange with the existing Mariental – Grünau tar road. Construction of this interchange, to the value of N$ 3.6 million was completed in 2012.